An exhaustively detailed brief provocatively argues that Asian-Americans should be included in the national dialogue about race. Drawing on an eclectic range of references from John Stuart Mill to Tom Wolfe, Wu (Law/Howard Univ.) admits he hopes to stimulate discussion as well as invite dissent as he advances his ideas. Addressing both black and white prejudices against Asian-Americans, Wu is punctilious about acknowledging the greater burden race has imposed on blacks. Divided into three sections, his study begins with personal recollections of growing up as a Chinese-American and ends with a chapter detailing his reasons for teaching at Howard, a historically black university. In the first section, Wu rebuts the myth of the model minority by demonstrating that, while Asians are highly educated, they receive a lower return on their investment in education and are underrepresented in management; their higher income, he argues, reflects families pooling their resources. Next, he analyzes the implication of mixed-race marriages, as well as such problems as Asian-Americans’ stand on affirmative action (he supports it), racial profiling (he discusses the case of Wen Ho Lee), and the dilemma of diversity. Citing the abhorrence that the Asian custom of eating dogs evokes in Westerners, he argues that, while everyone favors diversity, no one has thought critically enough about its implications. Wu suggests that one way of reconciling assimilation with multiculturalism would be to distinguish the division between what is substantial and what is superficial: “. 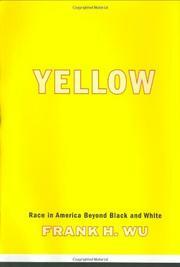 . . an Afrocentric curriculum that is rigorous may be preferable to one that is auctioned off for product placements.” In the final section, he suggests that Asian-Americans should engage in building coalitions with African-Americans and other minorities as well as with whites to create a tolerant civic society. A timely and thoughtful, if at times overidealistic, plea for full participation in the great ongoing debate.